Why Do Evangelicals Support Trump More Than Catholics? 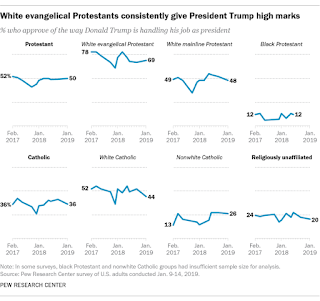 Evangelical approval of Trump remains high, according to new polling from Pew Research Center, but other religious groups, such as Catholics aren't as supportive. Why? That's a question worth asking but first let's delve into the numbers a bit. 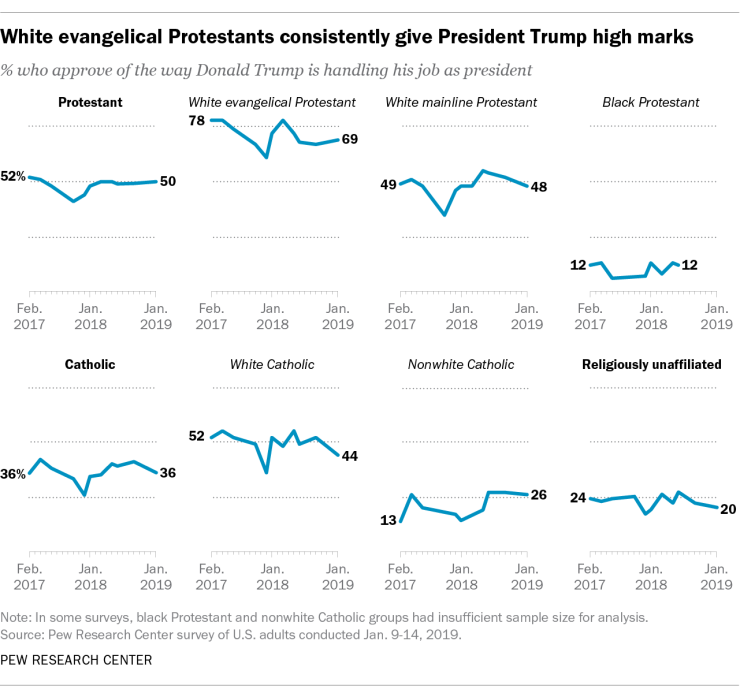 About 70 percent of white evangelical Protestants say they approve of the way Trump is handling his job. That number is actually a bit of a dip from his high earlier in his presidency but still very strong. Trump's approval among Catholics is starkly different and is now at 36 percent. But to be fair, let's compare apples to apples. Theology and Louis Farrakhan leads the Nation of Islam. Then you have the open borders Catholics who do not care about the safety of US citizens. Because the Pope looks with sympathy to leftist parties, and so does the now reigning progressive wing in the Church. Another, perhaps more interesting, question would be: why so many Catholics voted for Trump, notwithstanding the Pope's clear and direct stance on politics? A prior question is why the dominant political parties presented us with such unhappy and unworthy candidates. My rural area offers only paper ballots, and I wrote in my dog's name. No, it wasn't a wasted vote; to vote for an unworthy candidate would have been a wasted vote.